Hey, hey - it's two-fer-one! I've admitted before to being a fan of The Monkees. After Davy Jones' passing, the three remaining ex-Monkees got together and did a concert tour. Now, I didn't go and see them, since I had a hard time justifying the expense. Good tickets were crazy-expensive, and frankly, reunion concerts more often than not leave something to be desired. I'm more interested in new work, than hearing old work endlessly trotted out. To that end, Michael Nesmith has had an extensive solo career (also mentioned before), but releases from the other three have been few and far-between. 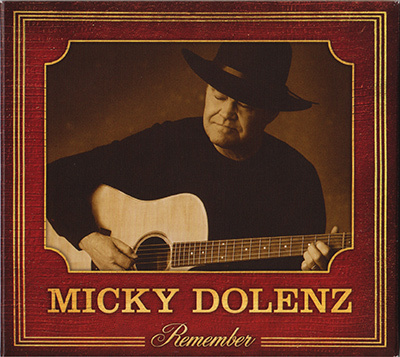 That said, a year ago Micky Dolenz released a new album - Remember. I decided to pick it up, and also use the opportunity to pick up his 2010 release - King for a Day. King for a Day is a collection of songs written by Carole King. Micky worked with her (and countless other legendary songwriters) during his Monkee years. It's hard to argue with the song selection, and Micky does an admirable job singing them. But I wasn't really sold on the arrangements. They just seem a bit... placid. Or vanilla. There's not a lot of passion to it - or rather, not much that comes through the final recording. There are a few guest artists on the album - his sister Coco (who he's always harmonized with very well), Bill Medley (one of The Righteous Brothers) and Emily Osment (???). Most effective is Bill Medley's guest shot on Just Once In My Life, whom Micky plays off of very nicely. I'd say it's the best track on the album. Micky has one of the best voices in pop music (doubt it? Listen to Pleasant Valley Sunday sometime), but this album really doesn't showcase his abilities well. It seemed on the surface that he'd lost some of his singing chops over the years (I felt that about the Monkees' reunion album in 1997 too). However, his next album would completely disprove that. It took eleven people to Executive Produce King for a Day... so I'm wondering if it was a case of too many cooks in the kitchen? It isn't a bad album, but it's not something that I go out of my way to listen to. It gets a 6.5/10. Remember, on the other hand, is a bit of a revelation. Whereas King for a Day was the result of a record company (Gigatone) approaching Dolenz to do an album, Remember was the result of one guy - David Harris - asking Dolenz to just come hang out at his beachside studio and record whatever he wanted. From that a musical partnership formed, and from that came the concept of Remember. 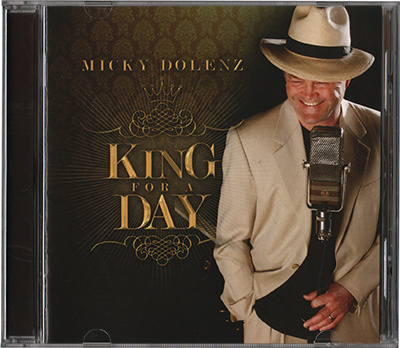 The album is a musical scrapbook of Dolenz's career - covering songs that had significance to him at different times for different reasons. From Johnny B. Goode (his audition song for The Monkees' casting call), to the Beatles' Good Morning Good Morning (he was in the studio visiting them when they recorded it), Bread's Diary (offered to him as a solo single, but he turned it down) to the title track Remember (Dolenz was a good friend of Harry Nilsson, and was there when he wrote it), each song has a story associated with it, and it's clear that Dolenz pours his heart and soul into each one. The production is excellent on this album, with arrangements that are tighter and more focused than King for a Day. This is likely because it's a collaboration between just Dolenz and Harris, and they were obviously on the same page throughout with what they wanted to accomplish. Probably the two most interesting tracks on the album are Dolenz's composition Quiet Desperation, which is a nicely done country-flavored ditty. Up until I heard this, I had no idea that genre had an influence on him (although given his association with Nesmith, it shouldn't come as a surprise - in fact, it'd be great to hear them team up for an album). The other is the usually saccharin-sweet Sugar, Sugar. This song was slated to be a Monkees song, but they refused. Don Kirshner eventually used it to kick off the even-more-made-for-TV-band The Archies. When Harris suggested this for the album, Dolenz didn't want to have any part of it, until he heard Harris' arrangement. Instead of the bubblegum pop usually associated with the song, Dolenz sings it slowed down and sultry. Listening to the lyrics, it's actually very reminiscent of a certain Def Leppard song, and Dolenz's version definitely wouldn't be considered suitable for Saturday morning cartoons. There are four Monkees' songs on the album, but in very different arrangements from what has been heard before, including one of his own songs - Randy Scouse Git. It's great to hear familiar songs re-imagined, and really speaks to the quality of that music to be able to hold up to such diverse treatments. The album closes with Nilsson's Remember, which is a moving, powerful arrangement, and a perfect conclusion to this audio memoir. Remember is a first-rate album, and really finds Micky finding his own voice (so to speak) away from being the Monkees' frontman. Hopefully this won't be the last such effort from him. Remember gets a 9/10. Check it out.